Melancholia (von Trier, 2010) and Solaris (Tarkovsky, 1972) both present Bruegel the Elder’s Hunters In The Snow (1565), but each film does it differently. In Solaris, the painting appears as part of the films diegesis, hanging on the wall of the space station’s library. In Melancholia, it appears both diegetically, in the lodge’s collection of art books, and more emphatically, extra-diegetically as one of a series of animated icons that make up the film’s overture. To what extent can we understand the intermedial relations each film creates between itself and Bruegel’s painting as expressions of the two image regimes governing each film: the Time-Image and Cinema-Hostis? Melancholia repeats several elements found in Solaris: the expressive presence of horses in the mise en scène, an alien planet as of figure human affect, references to precapitalist painting. In Melancholia, these shared elements retain visual similarity, but their semantics differ from those in Solaris’s iteration, as if to draw attention as much to the difference between the films as to what they have in common. In order to start to explore the contrasting ways films from each period use works from other art practices, one might start by sketching the differences in the way the painting’s appears in these two films. In Solaris the camera first shows Hunters In The Snow in a shot from the point of view of Hari, an avatar created by the planet Solaris in order to interact with humans. She looks at it after a sequence during which some of the crew make it clear that they do not consider her human, only a fabrication made from the Kris Kelvin’s memories. When Kelvin returns to the library after walking another crewmember out, he finds Hari contemplating the painting and joins her. Although he looks at Hari, who is gazing straight ahead, at the tail of the glance shot, his presence implicitly bifurcates the point of view. When the glance shot times later in the sequence, the eye line matches show both characters looking at the painting. In the object shots, the camera shows details of the tableau and lingers on elements of the foreground and background as if comparing them: the clear details of expression on the face of a dog accompany hunters contrast with the sketched character of flora in the hind planes of the painting. The camera avoids showing the whole canvas, as if it were too much for Hari to take in all of once, or too sublime to be grasped in its entirety. It is as if planet, Solaris, learns about humanity through a study of art performed by the person of Hari, whom Kris watches and gazes with out of love and amazement. Solaris uses Hunters In The Snow to set up a complex free indirect image bearing the subjectivities of the alien planet, its avatar Hari, who appears as a human individual, and Kris Kelvin. Solaris’s sequence of Hunters In The Snow’s contemplation functions as a compound of the disclosure of human Truth to a consciousness that knows it not, and as the witnessing of such disclosure by a human. If we note that the rest of Bruegel’s seasonally themed paintings for Niclaes Jongelinck also hang in the library, we might conclude that Hari’s contemplation discloses a specifically bourgeois truth to Solaris. Melancholia begins with a series of moving icons or figures, referring to the moments of its narrative. Hunters In The Snow appears in the third icon, following a close medium shot medium shot of Kirsten Dunst opening her eyes with dead birds falling in the background, and a saturated shot of a sundial on a terrace overlooking the grounds of the estate. The following shot shows the painting, with the wide aspect ratio emphasizing the hunters on the left more than the original. Dark flakes begin to fall from the sky over the painting and in the implied space between the camera and surface of the canvas. When the surface of the image begins to burn, it becomes clear that the flakes are ashes rather than evening snow. After Dunst’s character, Justine, fights with her sister Claire in a room decorated with art books, she replaces the volumes displayed open to plates of supremacists paintings, with books showing classical canvases, Hunters In The Snow among them. In this sequence of Bruegel and the other classical paintings appear as fragments moving through the frame as Justine handles the books. The Maleviches appear in the background. Justine does not contemplate either set of paintings, but she moves as if she can’t stand the modernist ones. Beyond the simple irony of Malevich as decorator for a vacation Lodge patronized by top level executives, one might also note that Melancholia’s framing of the painting in the overture, emphasizing the hunters and their distance from the town to which they are returning plays on the absolute separation in the film between the super-wealthy residents of the lodge, the staff serving them, and the village. Andre Bazin wrote “The Myth Of Total Cinema” before film studies became an academic field, and so, before it became a strong source of reasoning about “media.” In the 1970s, a revival of Lessing’s children, Hugo Münsterburg and Rudolf Arnhiem, would lead to a theory of “media specificity” based upon a series of errors, starting with blessings assumption that Greek statues were unpainted. Originally a book review of Georges Sadoul’s General History Of Cinema, “The Myth Of Total Cinema” claims Sadoul undermines his own Marxist materialism by presenting cinema as a phenomenon driven by a myth rather than material conditions. It is easy to see that Bazin’s a mistake about materialism, more of a rhetorical flourish than an argument. Materialism seeks to discover the social relations in stuff, and which can easily show how myths and ideals emerged from economic conditions. Bazin’s article allows one to understand cinema as a developing praxis. Bazin shows that the project of developing moving images into a complete reproduction of the world antedates the technical capacity to create photographic films, and concludes that the will to develop a total simulation guides the development of cinematic technology throughout its history. In other words, wrote “The Myth Of Total Cinema” implies that media don’t exist and can’t function as the physical basis for the specificity of certain “Arts” or cultural practices. Even if one could distinguish media from praxis, in any “medium,” an ideal always guides the use of material toward the limits of that material. If the ideal of total reproduction of reality precedes the technology that makes it possible, it does so as a productive desire that defines the unity we call “cinema.” The myth of a reproduction of the world came before transparent, flexible, strong base, and dry emulsion necessary to film stock. Bazin recognize that cinema is a complex, some elements of which had to wait the invention of others, and as such it corresponds to no pre-given unity other than that of its ideal. After discovering the persistence of vision, Joseph A. F. Plateau had to wait for Niepces to invent chemistry of image fixation, before developing the Phanakisticope. What makes an Art recognizable lies beyond the material the cultural practice uses as a contingent means of expression. An earlier essay “The Ontology Of The Photographic Image,” uses the same reasoning: there, Bazin holds that photography and film realize the human desire to put time beyond “the reach of its own decay” (8.) In both essays, cultural practices essentially attempts to actualize a complete realism, but the means by which they do, the materials work and the techniques, are accidental. Practices often modify the desire for realism, changing it into, for example, a certain mode of abstraction, but realism, the desire to reproduce the world, guides technical development. The urge to reproduce the world, the desire for a second life, comes before and how it lasts any particular, physically defined, medium. It passes through tools and supports, discarding them when it has reached their limits. Desire for a second life remains the same across various means, only changing when the economic base changes, when the mode of production is altered. The notion of medium doesn’t come up in the myth of total cinema, and more importantly its reasoning implies that the elements that make it possible to physically create moving images exist as limits to be overcome. The impetus for cinema’s technical development comes from a desire for a comprehensive simulation of reality. When one understands cinema as a praxis, one can understand digital productions, for example, as cinematic. 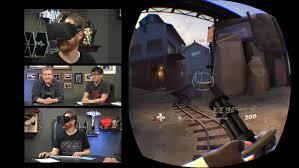 Interactive or not, their technical development follows the same impetus to perfect simulation. Inventors of cinema sought “the perfect illusion of the outside world through sounds, color, and three dimensionality” (16) … to which one could easily add “interactivity.” Cinema’s inventors and contemporaneous fictions imagined the complete illusion of life. 1) According to Bazin, cinema produces simulacra, not indices. 2) We call cinema the real praxis that abolishes media and their history. Cinema isn’t the medium, it’s the idea that media limits to simulation. 3) Cinema grows by attempting to simulate the reality capital works hardest to occlude: the life that flees both exchange and production. 4) The notion of “automatisms” mistakes praxis for unconsciousness and thereby disguises the ways that cinema, like all cultural production, takes the imprint of a struggle. The critic who accepts “automatisms” becomes pacified and only capable of a liberal politics with respect to creation and its display. Between the Time-Image & Cinema Hostis: HUNTERS IN THE SNOW? 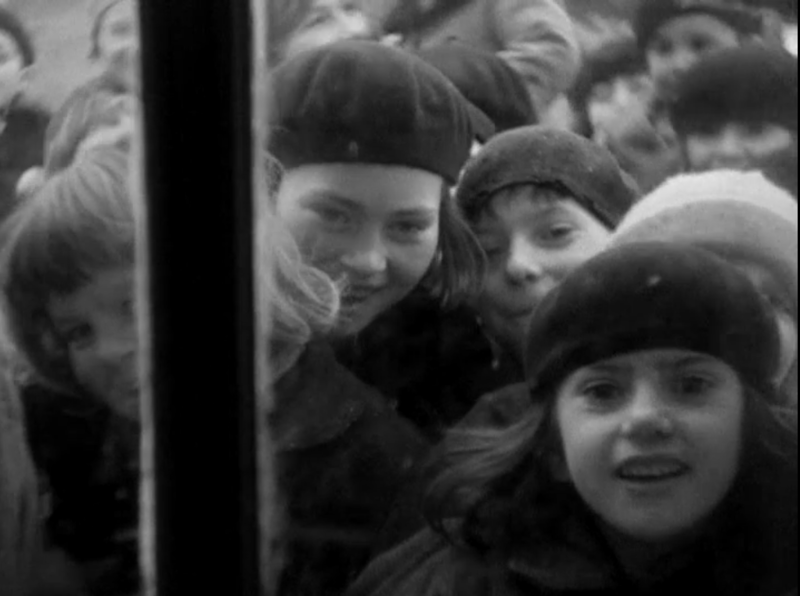 (von Trier, 2011.) Since each of the films respond to a very different economic base, the ways Tarkovsky and von Trier work with the painting might clarify the distinction between two cinematic regimes. The three images all share a certain proximity between work and reproduction. In the painting, hunters return to a town, reintegrating and provisioning a social whole. The residents of the space station in Solaris reproduce themselves and work in the same place. In Melancholia, the work of advertising permeates Justine’s wedding so deeply as to render rituals of reproduction indiscernible from the labor of exchange. Both films involve contact between humans and another planet as well as an apocalyptic tone. Solaris shows the painting in Hari‘s point of view as a special object within mise en scène. The camera moves along its surface, reframing it via movements Tarkovsky reserves for the presentation of artworks. The camera hovers close to the canvas. Cuts and dissolves make its gestures contrast a framing that enlarges the detail and expressivity of Bruegel’s depiction of the hunters dogs with another framing that emphasizes the sketchiness of the animals in the background. 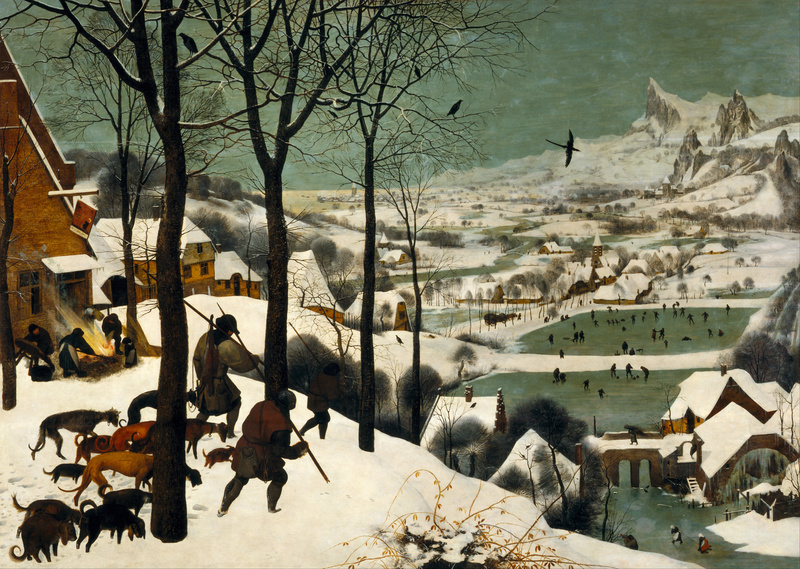 Melancholia presents The Hunters In The Snow as imminent to the film’s plane of composition: the animation at the beginning fuses von Trier’s film with Bruegel’s painting and implies a subjectivity watching an impending disaster through the optic of the film’s revision of the painting. 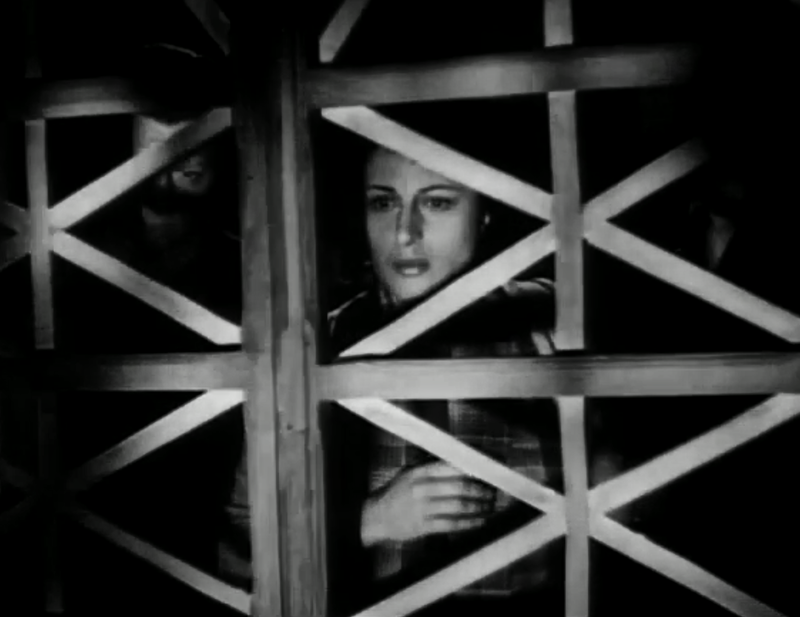 A work dominated by multiplying repetitive temporalities, Solaris tries to invent a form of time that could mediate between a structurally cyclical, yet finite, temporality of a romantic couple(made game-like by Nachträglichkeit,) and the necessarily open and unbound temporality of the social. In Melancholia, the familial axioms that guarantee capital the personal subjects necessary to its valorization can’t be discerned from the very flows of money and people in need of their regulation: the auto-abjecting dominant classes subject themselves to the futureless time of debt. 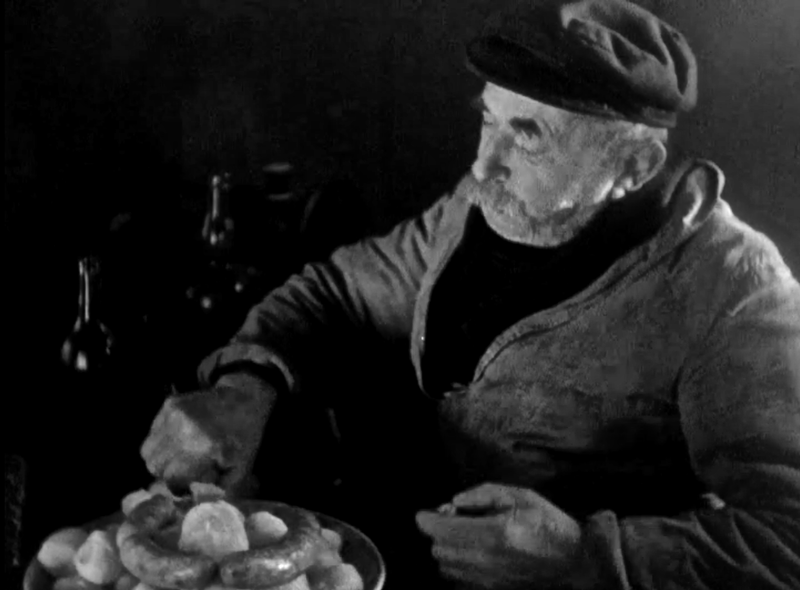 In both movies, the temporal complications unfold from the figure of women’s domestic labor, as do the modes of presentation and beholding surrounding the Hunters In The Snow. Cinema Hostis shows Empire’s new process of abandonment by dispossession: it depicts the creation of relative surplus populations that capital cannot absorb into the wage workforce. Previously, populations driven from land and alienated from means of sustenance were proletarianized: they became a standing reserve of abstract labor time exerting downward pressure on wages and eventually finding employment. 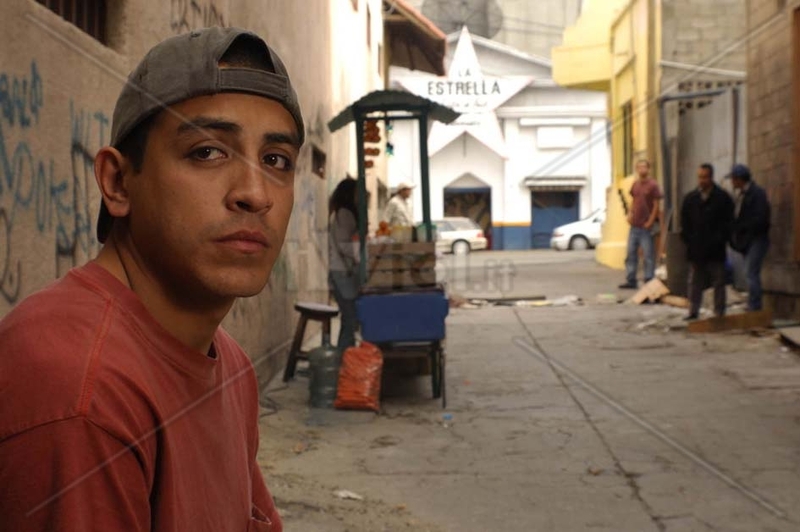 Cinema Hostis forecloses such happy endings: capital’s axioms now separate flows of population from flows of money, and Unwaged Life has become a permanent condition under which power abandons rather than managing. Having torn from our own economic base, one that makes reconciliation between the proletariat and money impossible, Cinema Hostis first presents itself as the image of a Rift within which characters inhabit an antagonism, not a solidarity towards other characters in the set where they themselves first appear, characters elaborate enmities with those who appear in different sets, and the camera participates in the struggles it delineates intensifying instead of mediating them. What does it mean to speak of cinema’s apical meristem? In part it means to speak of films that generate cine-plastics which can be extended without quickly becoming clichés. These shots, from Epstein’s L’Or des Mers, of children watching the formally starving protagonist spend his newfound wealth on food, become models for variations in much later films. 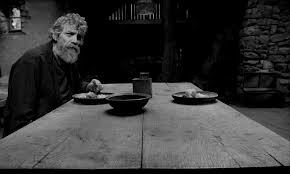 The protagonist of L’Or des Mers, becomes the old man in Bela Tarr’s Turin Horse (2011). 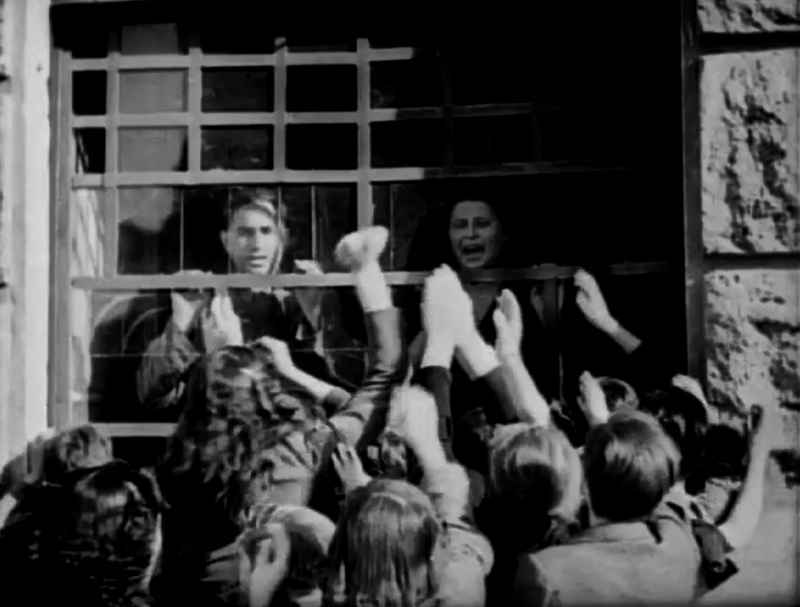 The children watching him through the window fragment into the Bakers, the bread rioting girls, and the parents of the militant boys in Rossellini’s Rome Open City (1945).